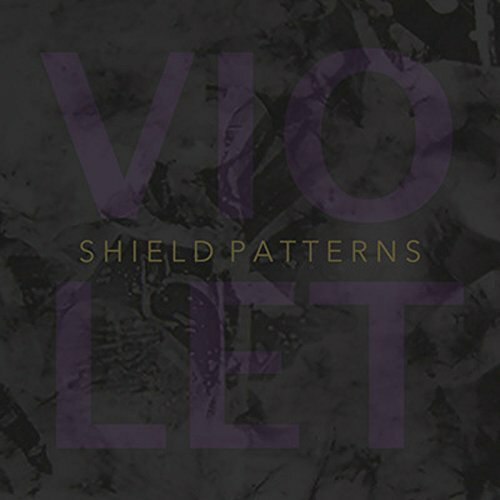 After 2014's acclaimed debut Contour Lines and 2015's bridging Violet EP, Mirror Breathing, Album #2 from Manchester duo Shield Patterns, treads on familiar ground from past releases with sparse, largely electronic instrumentation backing Claire Brentnall's delicate vocal. However, there is a formidable tenderness that forges itself at the centre of the album, moving away from the dislocation and dense production that occasionally dogged previous releases, resulting in a collection of pieces that feels like a perfect soundtrack accompaniment to short films, filmed in the last throes of twilight. 'Dusk' leads with throbs of electronic percussion and an ominous, sampled backing before Claire's descending vocal brings immediate warmth and comfort, with hints of Bjork and Fever Ray, angellic and breathy, but with a ethereal fragililty as beautiful, shrilled keys glide the song along. The title is apt and hints at both dark and light, especially apparent with the deeply-shredded guitar that appears during the ambient, atmospheric middle , before all elements of the track reassert themselves and build to a triumphant close, as each instrument fades leaving Claire's vocal all alone. A sumptuous opener. Foreboding field recordings and samples introduce 'Cerulean', as subtly spectral noises appear accompanying Claire's vocal, with a feel near to Kate Bush's A Sky Of Honey. The song truly gets going when synths and percussion appear, producing a powerful and hypnotic track, again deeply minor-key but with a natural optimism breaking through. The delayed, treated guitar and repetitive synths that are a neat antithesis to the dark-edged percussion of 'Sleepdrunk' are just breathtaking, a track that takes in elements of dub and is loaded with an awash of haunting melodies. Like a lot of Shield Patterns work traditional song structure is bypassed (there are no versus or choruses here! ), what you have is a complex evolution of texture and shape in the passage of the track, that remains focused throughout. 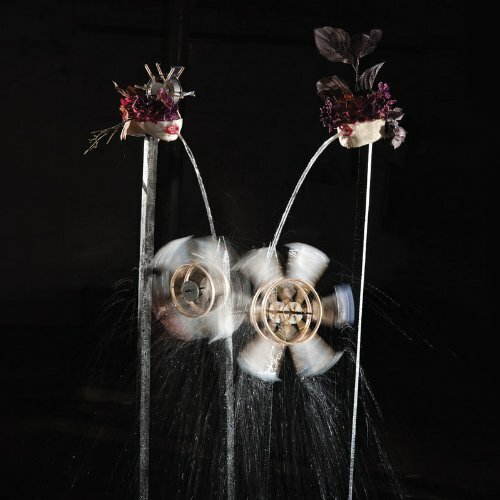 'On Needing' is a restful interlude, with flowing water, fields recordings and delayed noises providing wistful industrial soundscapes that open out into a relaxed soaring natural landscape. Perhaps echoing Richard and Claire's move from Central Manchester to the edge of the Peak District, the songs feels like a slow journey from the dense city to open-aired countryside. Perhaps the most structurally conventional track on Mirror Breathing, 'Blue Shutters' still contains a whole hotchpotch of textures and instrumentation. Chiming clocks and brooding percussion open proceedings as Claire's vocal is joined by clarinet, that depart leaving Claire's vocal to be used as an angelic backing instrument to her lead vocal, before the brooding percussion and clarinet return and deeply solemn keys are added. One of the darker songs on the album, however it doesn't suffocate, with plenty of chinks of light to sooth the listener and decayed, distorted guitars that add a neat touch and depth to the end. 'Bruises' subtly changes tact with the first appearance of piano on the album and with Julia Kent adding trickles of Cello to proceedings. Claire's vocal, while central, is more understated, allowing the noises to envelope and surround it without smothering the mood. A poignant and affective track. Once you've settled into a comfortable place listening to the album, 'Balance & Scatter' completely wrenches you from your drift. Opening with a repetitive, unsettling drone, more reminiscent of Richard's work in A-Sun-Amissa and The Rustle of The Stars, treated clarinet and disturbed noise appear, touching on a dystopian nightmare. Even Claire's vocal does not lift us out of the desolation, like Depeche Mode's Blasphemous Rumours dragged through the gates of hell or Talk Talk infected with the spirit of Black Sabbath and Aleister Crowley. A sinister but welcoming track, that shows that doom-laden melodies can still be deeply affecting. 'Anymore' appears as a welcome relief to the unexpected tension with subtly treated piano and Claire's echoed vocal leading us out of the claustrophobia and slow-builder 'Glow' closes proceedings effectively as touches of percussion, Julia's mournful Cello and Claire's vocal are overlaid with treated beats, shrilled samples and warm synth chords, leading to a moving finale. Mirror Breathing is a superb example of how subtle and minimal changes to a successful formula can lead to a hugely significant improvement in output. The lightness of production and a movement away from the austerity of electronic beats have allowed the tracks to breathe effortlessly, producing an intimate and touching album full of emotion. A heartfelt record that could warm the cockles of any stony soul.